Joshua Curtis has worked at Curtis and Lucero since 2011. 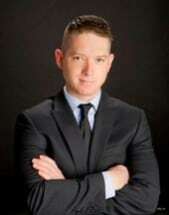 He began as a law clerk while studying at the University of New Mexico School of Law. In 2013, Mr. Curtis completed his Juris Doctorate. During law school, he was chosen as the Co-Editor-in-Chief of the Natural Resources Journal, an internationally recognized legal journal focusing on natural resources. He also was awarded the winner of the 16th Annual New Mexico Court of Appeals Appellate Advocacy Tournament. In the same year, he was commissioned as a 2nd Lieutenant in the United States Marine Corps in Quantico, Virginia. He began practicing at Curtis and Lucero as an associate attorney in 2014, where he will remain until his expected activation in 2017. Mr. Curtis has a broad base of experiences that gives him a novel perspective as an advocate for victims. His parents exposed him to multiple cultures as a military dependent, living in and traveling around the world, which helped to form a balanced perspective. He took a special interest in the Spanish language. Through college, extensive travel, and his early working career, he became fluent in Spanish, eventually working in a bilingual field for the Federal Government. During law school, he twice studied internationally with the legal faculty at the Universidad de Guanajuato, Mexico. Mr. Curtis’ varied work, travel, educational, cultural, and military experience, has taught him to be indiscriminate, creative, adaptive, compassionate, and demanding of justice. He brings these qualities to the table for every client he serves. Mr. Curtis has been called up to active duty. He remains of Counsel with the firm. We all pray for Joshua's safe return from his commitment to the Marines. God speed! NMTLA Evidence Handbook- assisted in revisions made in Third Edition. Co-Editor in Chief for Natural Resources Journal Volumes 53.1 and 53.2.